Chinese painting and calligraphy during Ming and Qing dynasties ushered in a stage with unprecedented height and the spirit of exploration and innovation. The artists during this period were obsessed with imitating the ancient works while they refined the works from Song and Yuan dynasties into stylized art language, producing numerous masterpieces. However, most of their emphases were placed on “tracing the essence” as they imitated and created works in their own ways to prevail retro and revolution in one time. The prosperous commodity economy of the two periods caused the expansion of the literati class as well as the division among them with an aesthetic divergence amidst the scholar groups. Literati from influential families or official families upheld “elegance and uprightness” while those from the emerging group were good at summarizing and evolving from folk life and individual emotions to stand out with “uniqueness and extraordinariness”. Bearing no definite difference, imitation of the past and revolution, elegance and extraordinariness were mutually influenced and associated in ink, forming the artistic layout of Ming and Qing dynasties which highlighted “elegance and vigor”. 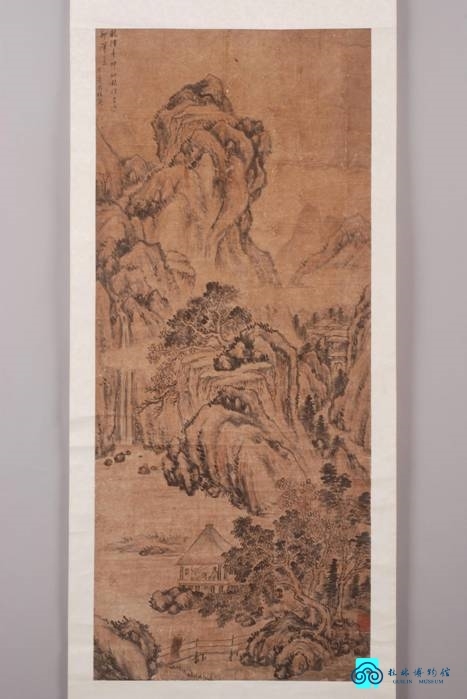 Ming and Qing artists pursued exquisite brushwork and eventually exceeded forefathers by blending different styles and creating various schools. During the period of Ming and Qing dynasties, Guilin’s tourism industry matured and attracted numerous men of letters, officials and squires to linger and enjoy its beauty. 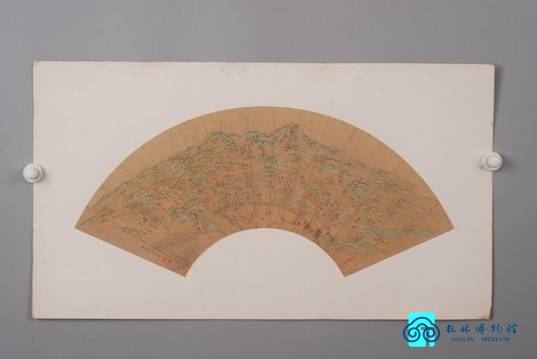 They not merely brought their valuable collection of painting and calligraphy, but also created their own works, and helped Guilin local arts absorb the essences from all corners of the country. Against this background, lots of excellent local artists emerged and developed Lingnan Painting School, the most systematic and influential painting school ever since Shanghai school, adding a splash of elegance to the art garden of Ming and Qing dynasties. 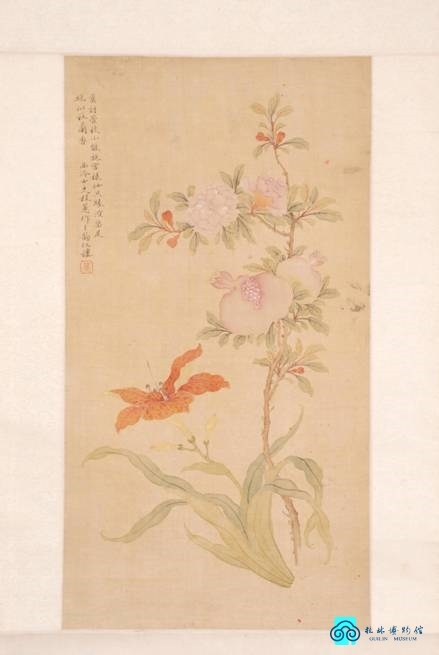 Chinese painting art boasts a long, splendid history. With its unique landscape, the picturesque Guilin city provides plentiful painting subjects for painters travelling around and attracts numerous literati. During Ming and Qing dynasties, there were not only masterpieces of nation-renowned painters like Li Liufang, Xiao Yuncong, Wang Shimin, Wang Yuanqi, etc., but also local artists' excellent works. They enriched the profound historical and cultural accumulation of Guilin, leading to the birth of Lingnan Painting School, the most systematic and influential school in China ever since Shanghai Painting School. Chinese calligraphy, the chirography art of characters, is the epitome of the long history of Chinese culture. The origin of Chinese calligraphy can trace back to inscriptions on bones or tortoise shells in Shang dynasty (1700–1027B.C.). 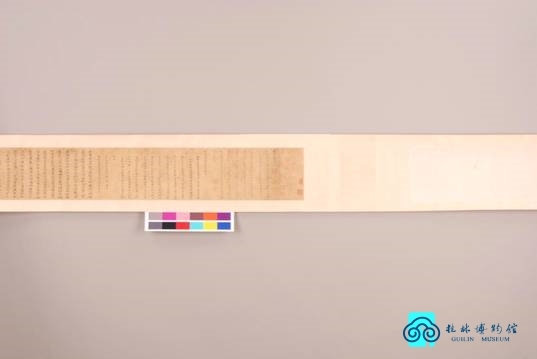 A history of three thousand years has forged solemn and gentle seal script, vigorous and forceful official script, refined and elegant regular script, glamorous and flexible running script, and unruly and wild cursive script. When the wheel of history ran into the Ming and Qing dynasties, Chinese calligraphy ran through another comprehensive transformation as it sought for revolution out of renaissance and developed from inscription. Calligraphers at this time highlighted style, spirit, force and quality and created an atmosphere of absorbing and embracing, delivering and tempering literati's morality, integrity or even state of life that had characterized them for thousands of years. 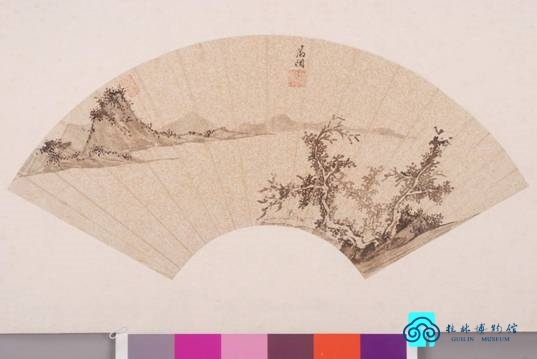 Fan, originated in China, boasts a history of over 3,000 years. 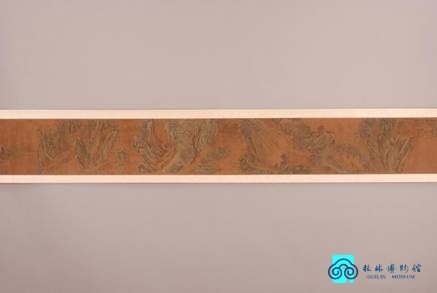 Besides the practical function, fan got infected with literature, calligraphy and painting during thousands of years of inheritance and evolution, and finally developed into a unique Chinese traditional art—fan calligraphy and painting. 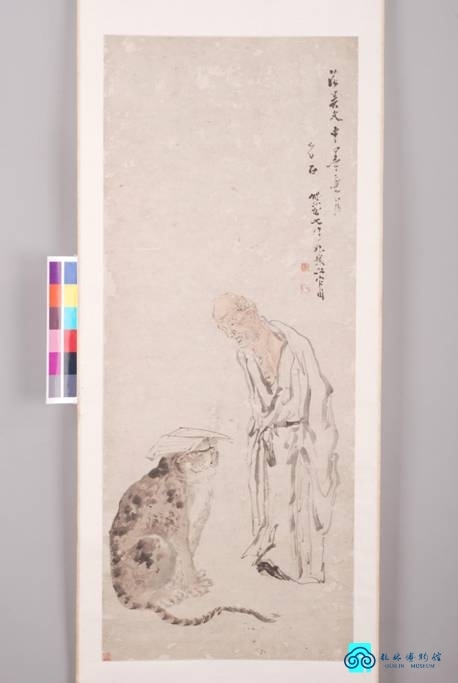 In Ming dynasty, renowned calligraphers and painters like Shen Zhou, Wen Zhengming, Dong Qichang had created lots of great works of fan art. 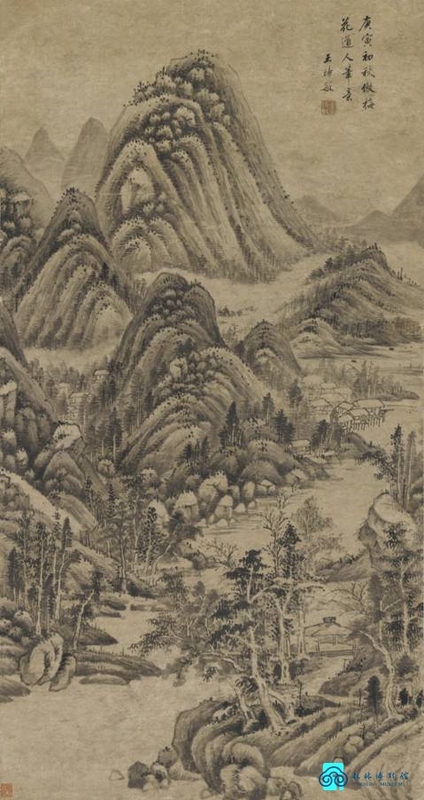 The art of fan reached its pinnacle in Qing dynasty, when fan art masters "four Wangs, Wu and Yun" (Wang Shimin, Wang Jian, Wang Hui, Wang Yuanqi, Wu Li, Yun Shouping) emerged and various genres appeared; particularly, some fan paintings created by folk literati were of great pioneering spirit, forming a generation of painting style distinguished from that of court painters.